Justin Rose has twice finished in 2nd place at the Masters, in 2015 and last year falling to Sergio Garcia in a playoff. 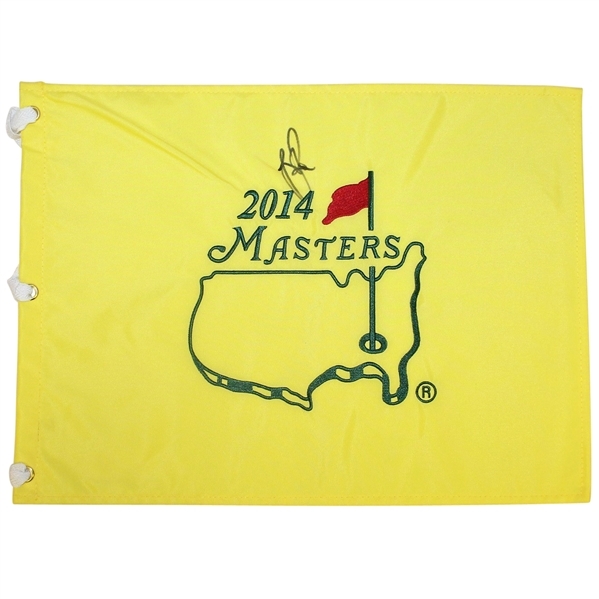 Offered here is a 2014 Masters Tournament embroidered flag signed by Rose in black marker. 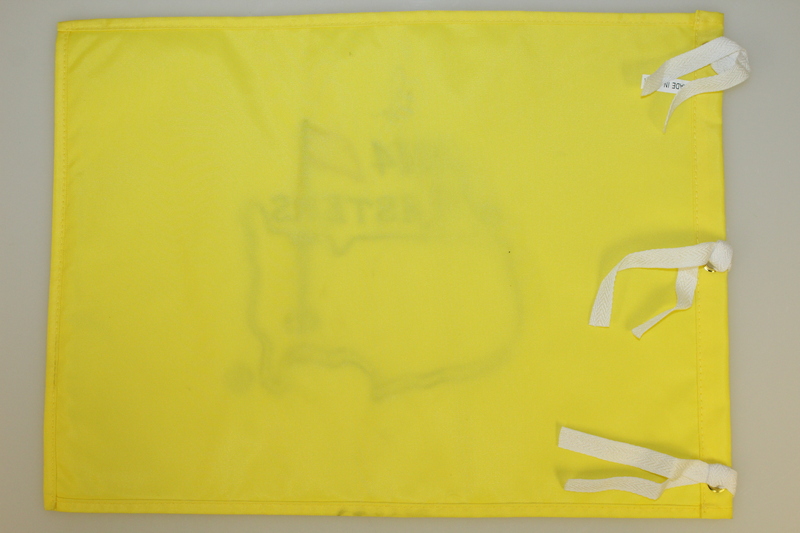 The 2014 Masters saw Bubba Watson claim his second Masters Tournament title.